Earlier this year, my undergraduate research group surveyed a group of students in an attempt to find out how they spend their time online. They were also interested in how online social interaction might interact with personality. 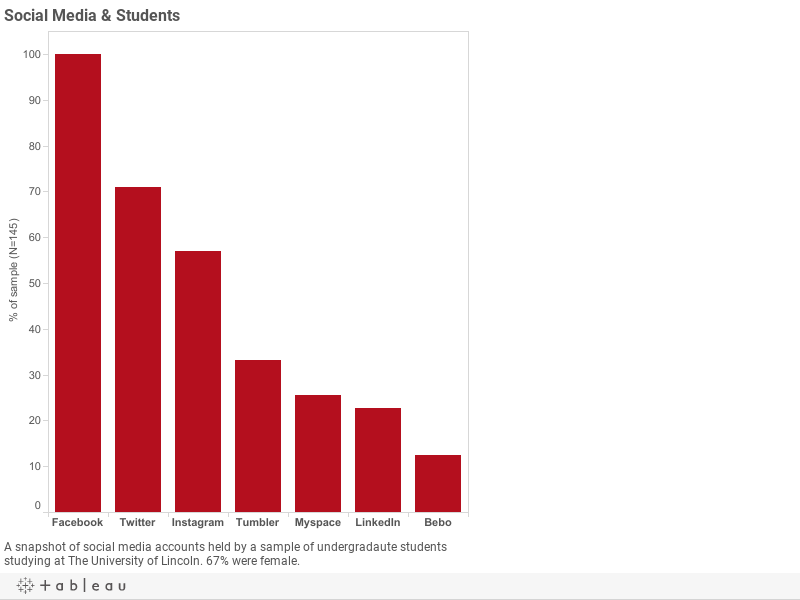 While personality didn't appear to predict how students use the internet, our sample was remarkably consistent when it came to documenting their typical behaviour online. Like many things in life, culture and groups dictate what becomes popular. Back in 2004, Myspace dominated but as the graph below shows, in 2014, Facebook still rules with Twitter in hot pursuit. 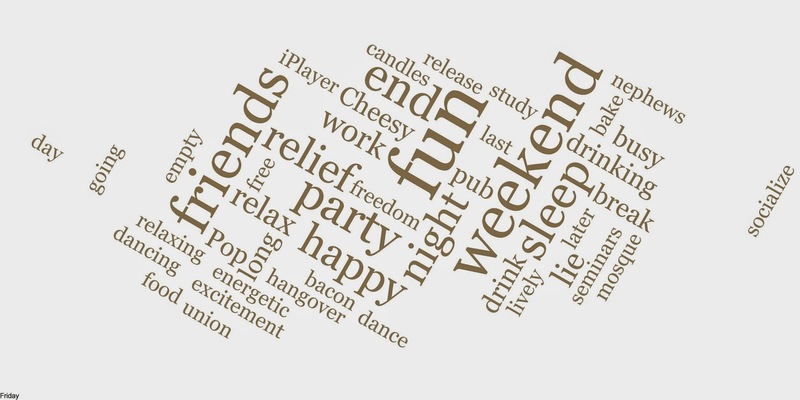 I've previously relied on wordle.net to produce 'word clouds'. These clouds give greater prominence to words that appear more frequently in a source text. 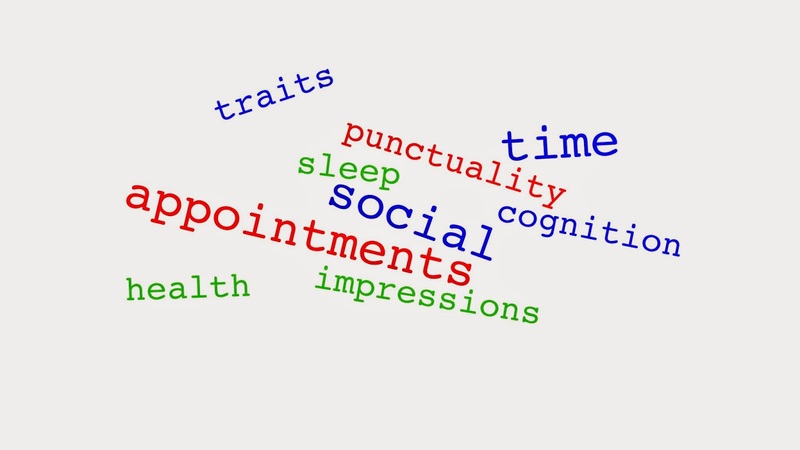 However, it is also possible to produce similar, highly customisable word clouds in Processing and R.
Processing relies on the excellent WordCram library. This is straightforward to install and can take any text file or website and produce a word cloud. The source code below demonstrates the variety of presentation options that are available. While the WordCram extension allows for some nice visual tricks, the text file has to be free of any undesirable additional variables or words that may need be excluded before creating a word cloud. In other words, Processing doesn't allow for any advanced text mining techniques e.g. you might want to remove all numbers or specific words form a file before producing a word cloud. R becomes more useful in this instance. Combining the tm (text mining) and wordcloud packages* makes for a comprehensive set of tools however, I've found importing text files via the tm package particularly annoying. However, once data is in memory the rest of the code is fairly straightforward (see below). //.withColors(255, 0, 0) // Not red - invisible! // Two-thirds of the words will be at 30 degrees, the rest at -60. // longer to place them. Be patient! f2f <-Corpus(DirSource("textf2f"), readerControl = list(language="lat")) #specifies the exact folder containing text file(s)for analysis with tm.